"BeginAgain is pure magic! Exquisite. Every choice, from the dance, to light, to film, to costume, to sound...and then! The two of you are a powerful match!" Available for touring through 2018. 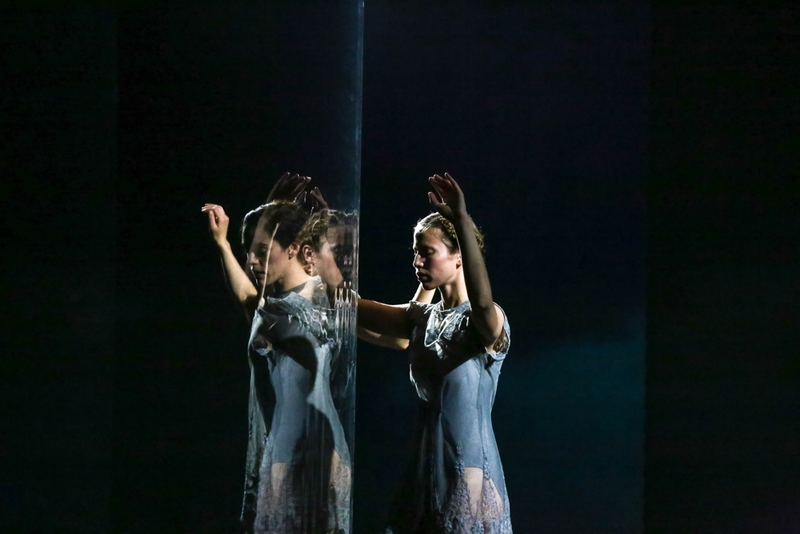 BeginAgain questions multiplicity of self, memory and perspective through two parallel solos performed by choreographer Zoe Scofield and Ariel Freedman set amidst Juniper Shuey's futuristic design exploring new technology through projection. 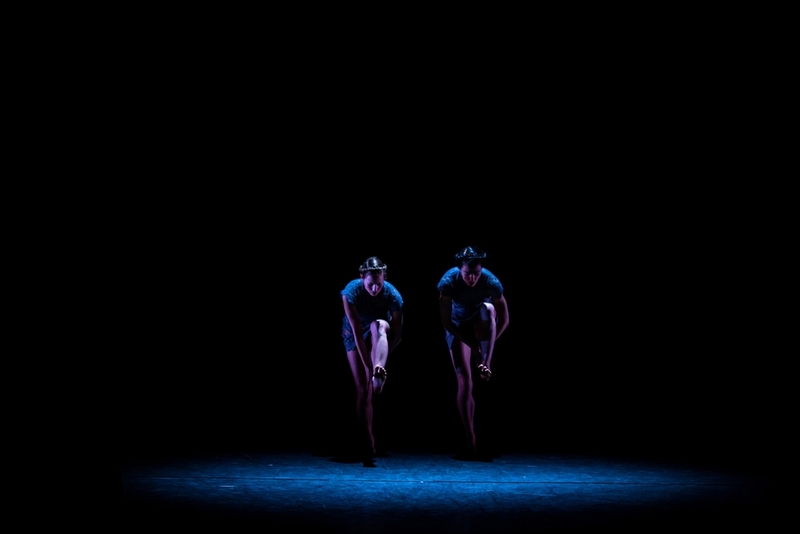 BeginAgain was co-commissioned by On the Boards through the support of their Dance Production Program and The Joyce Theater in partnership with 3-Legged Dog. BeginAgain received support from The Princess Grace Foundation Special Projects Award, NEFA's National Dance Project Tour Support, Foundation for Contemporary Art Emergency Grant, and MidAtlantic Arts Foundation through USArtists International in partnership with the National Endowment for the Arts and the Andrew W. Mellon Foundation. 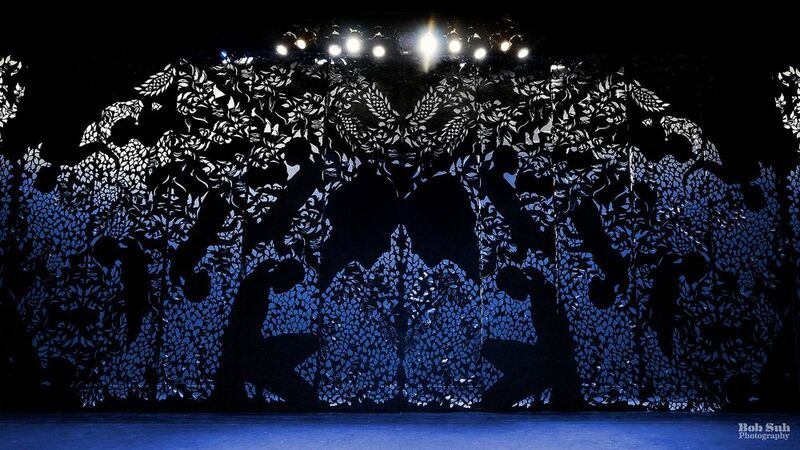 Portions of BeginAgain were developed and performed in-process with support at Velocity Dance Center (Seattle), gloATL (Atlanta), Frye Art Museum (Seattle), City Arts Festival (Seattle), Springboard Dance (Montreal) and BodyTraffic (Los Angeles). Additional support was provided through the Glenn H. Kawasaki Foundation and the support of individual donors. "A Swirl of Duality and Dueling Identities"
"Impressions of zoe | juniper's BeginAgain Installed"
"zoe | juniper's BeginAgain as part of Joyce Unleashed"
"zoe | juniper's BeginAgain mixes movement, stage magic"
"A Spell-binding Reminder of an Internal Struggle"
"zoe | juniper duo promises more wizardry at On the Boards show"
"Expect the Unexpected at BeginAgain"